Great value for money. A block away from the tram. 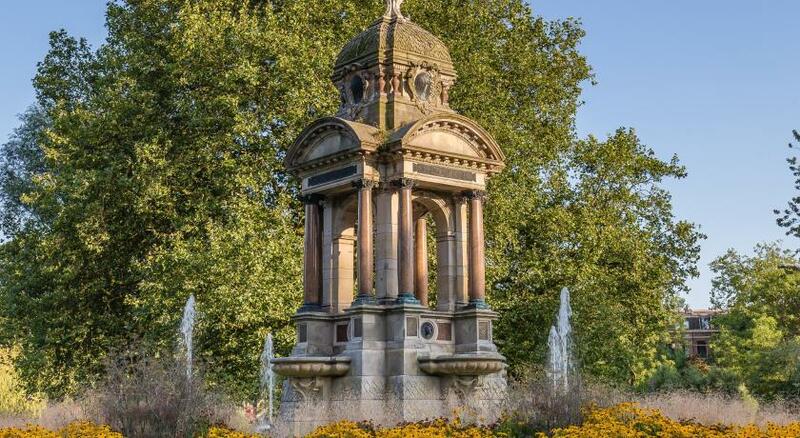 Walking distance from many restaurants. Nice clean bathroom. Fast wifi. The location is so perfect, good neighbourhood, easy to get back from central even after teams have stopped running. The staff were really friendly, I felt very welcomed. The room was huge for Amsterdam standards, with a generous sized balcony. I will definitely stay again. I thought the staff was excellent! They were always incredibly helpful. Friendly staff with great service. Comfortable bed also. We were very happy with our stay. Ivan was an amazing host. He helped us and was available the whole time. 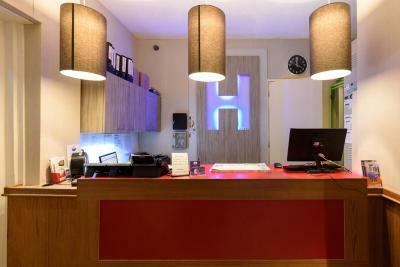 Room was adequate and staff were helpful. Location is very good. 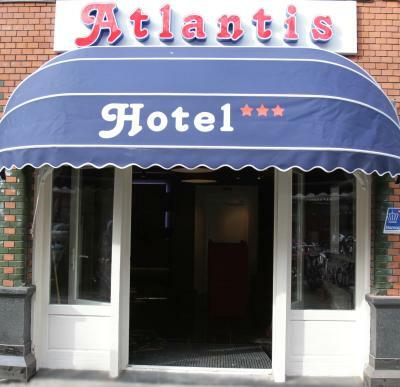 Hotel Atlantis Amsterdam This rating is a reflection of how the property compares to the industry standard when it comes to price, facilities and services available. It's based on a self-evaluation by the property. Use this rating to help choose your stay! 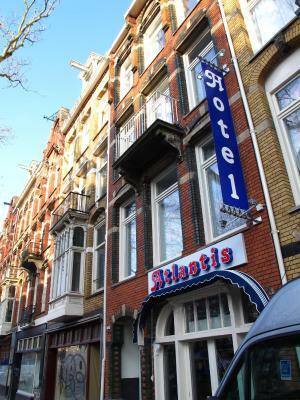 One of our top picks in Amsterdam.Hotel Atlantis is located in a lively area, around the block from Amsterdam’s Sarphatipark and the famous Albert Cuyp street market with many local bars. 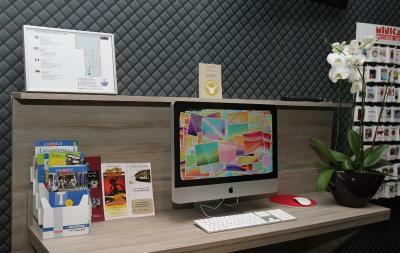 It has a 24-hour reception, a bicycle rental service and rooms with free WiFi. Each Hotel Atlantis room comes with a flat-screen TV with cable channels. 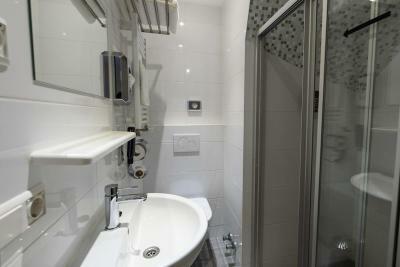 They have a private bathroom with a shower; there is also an electric kettle. Every morning, guests can opt for a breakfast buffet in the lounge of Hotel Atlantis. The direct area around the hotel offers a wide variety of restaurants and cafés. A supermarket is available as well. The Heineken Experience is 2,950 feet away. From the tram stop next door, the city center and sites such as Rijksmuseum, Leidse Square and Central Train Station are easy to reach. Train station RAI offers direct connection to Schiphol Airport. 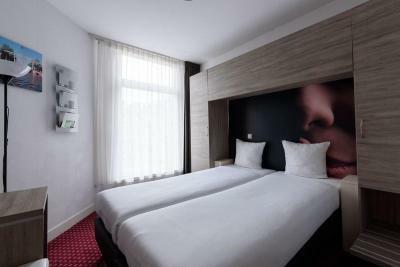 When would you like to stay at Hotel Atlantis Amsterdam? 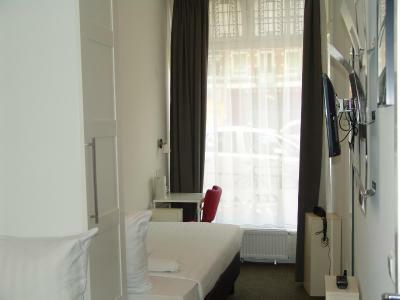 Modern room with flat-screen TV, free Wi-Fi and a tea/coffee maker. 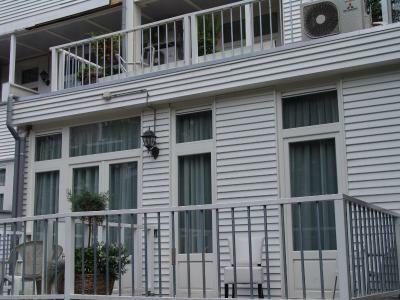 Featuring a balcony, this modern room includes a flat-screen TV, free Wi-Fi and a tea/coffee maker. 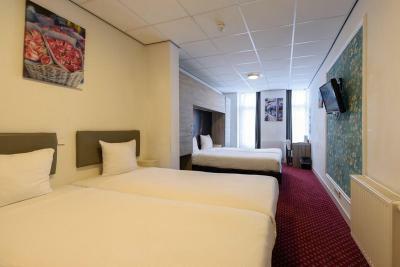 Hotel Atlantis offers complete accommodations near the famous Albert Cuyp Market, many museums and RAI congress center. 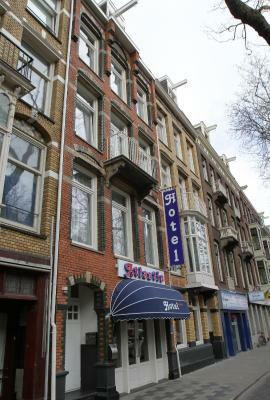 Recently renovated, the hotel offers convenient comfortable rooms featured with balconies with city view. House Rules Hotel Atlantis Amsterdam takes special requests – add in the next step! ATM card Hotel Atlantis Amsterdam accepts these cards and reserves the right to temporarily hold an amount prior to arrival. Hotel Atlantis Amsterdam accepts these cards and reserves the right to temporarily hold an amount prior to arrival. When booking for more than 10 guests or 5 rooms, a prepayment of 25% of the total amount is required on the day of booking. Please note that the rooms are nonrefundable. Please note that guests are required to bring the credit card that was used to make the booking, when they book at a non refundable rate. Guests can contact the property directly with any possible questions or remarks on this matter. Please note that when the creditcard holder it not present he/she is required to give a written permission and a copy of the ID to make use of this card. We had a street facing room which was a bit noisy with the window open, but luckily not much traffic overnight. 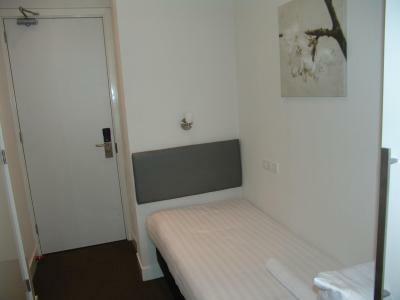 Very small butique hotel, small room just able to accomodate two twin beds with some additional space. The lift didn't seem to work between 9am and 2pm and the stairs were very narrow and steep. cooked breakfast was very poor. The walls in the room in particular looked discustingly dirty and the curtains need urgent cleaning. No hair dryer. 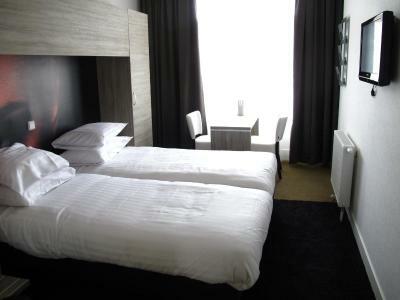 Friendly staff and reasonable cleanness compared to some other accomodations in town. Free Wifi! The beds and bathroom were clean. The room was very warm with heating. The room was small but there was still some space to move around the beds. 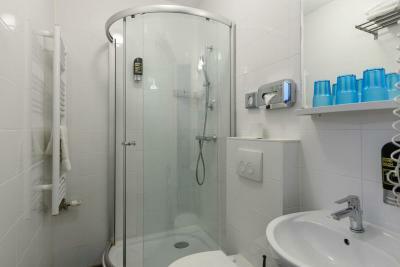 Clean bathroom, hot water. Does the job for one or two nights. Good public transport links to center. Many cafes, pubs, restaurants near by. Continental breakfast was reasonable with juice and coffee but the cooked options were poor. The location was the highlight of the stay. The small yet most comfortable facility was just enough to keep me happy and the staff was friendly in helping me find the options of the visit in the small time that I was there for. Friendly staff and a comfortable bed. Just an average hotel. Nothing really special, nothing really bad. Unfortunately the radiator in our room was broken, and was on full heat. Since all other rooms were booked, we could not get another room, but I am sure we would have received it if one was available. It made the night a bit uncomfortable with the windows wide open, but it was doable. And it was force majeure, of course. However, we were a bit disappointed about the rooms not being very clean. We expected a very basic hotel, but still a room that's clean. But the cushions and duvets were smelly, and there was a blood stain under the toilet seat. In my opinion that's subpar, also for a hotel that's basic and cheap. 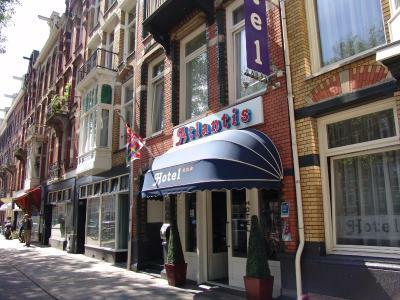 Hotel Atlantis is a fairly priced hotel in the city centre of Amsterdam, the location is fantastic! It is also cheap in relation to other hotels in the area, so we were expecting a very unpretentious and basic hotel, and that it was, in a good sense. A way out from centre v expensive extremely basic.Should be a fraction of the price suitable for Backpackers.